The energy complex ignored a stronger US dollar yesterday as geopolitical risk took centre stage and pushed Nymex crude $0.74 higher to $97.62. With news that the US has authorised air strikes in Iraq, this support has only gotten stronger in overnight trading. On top of that, there's also increasing speculation that Vladimir Putin could invade Ukraine which is keeping energy investors nervous. It appears that all is coming back into place for gold as the violence in the Middle East and Ukraine cannot be ignored any longer by the markets. The precious metal continued its advance yesterday, gaining $7.8 to $1,312.7, largely on renewed demand for alternative assets, boosted by a slump in shares. US crude oil went south again yesterday, losing $0.75 to $96.87 per barrel, despite a larger than expected draw for global weekly inventories as indicated by the US Department of Energy. After signs that the US economy might struggle, it was Europe's turn to show its weak hand and that does not bode well for energy demand going forward. Eventually, the geopolitical card had its day as escalating conflicts in the Middle East and Ukraine spurred renewed demand for safe haven assets. 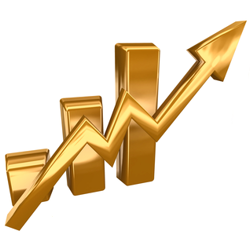 As such, gold was back making headlines, with its price gaining $17.8 to $1,305.2. The next question is, can it hold above $1,300 mark? With less than a month remaining of the peak US driving season, oil refinery activity is on the decline, reflecting a slump in demand for crude. As such, WTI resumed its southward trajectory, effectively erasing the previous day's rebound, ending the session $0.84 down at $97.58 per barrel. On the one hand, geopolitics has undoubtedly bolstered demand for gold as a safe haven lately, but on the other hand, a renewed strengthening of the US dollar has restricted the rally so far. This ensured that gold spread betting prices were kept in check yesterday, with the precious metal closing marginally higher at $1,287.9. Rising tensions in Iraq, where militants have been gaining ground and taken control of two oil fields, has triggered a rebound in oil prices, pushing WTI $0.73 higher to $98.40. Energy investors might have realised that last week's sharp drop was probably too much given that the current level of geopolitical risk probably increased. A rally in US equities hit gold prices again, with the spot market dropping $6.1 to reach $1,282.5. However, rising violence in Middle East and Ukraine could boost demand for safe havens, which in turn should benefit the precious metal. US crude prices failed to post a rebound on Friday, with the market trading close to its six months lows, as the weak employment figures reignited the debate over the timing of interest rate hikes. It felt like the energy complex had paused to reassess, waiting for further developments to offer direction and closing nearly flat around $97.65. Despite another better-than-expected corporate earnings season, the process of jobs creation is struggling to keep up, so the concern that equity markets might have gone too far shifted some interest back into the precious metals. With an increased chance that the Fed will maintain low interest rates for longer, investors returned to gold, pushing its price $9.7 higher to $1,292.2.